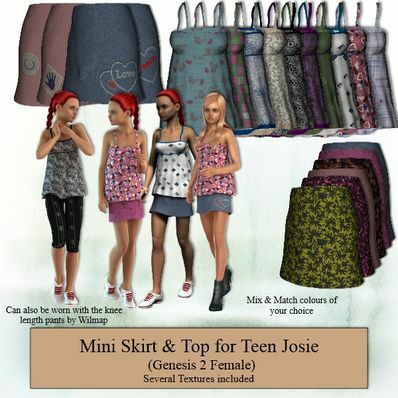 Mini Skirt & Top for Teens Josie for use in Daz Studio 4.6. Several textures included. Mix and match to suit. Thanks Wendy...very lovely Summer outfit for teen Josie.